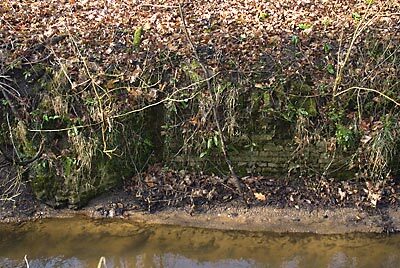 Gunton had a watermill recorded at the time of Domesday that probably continued to work through medieval times. 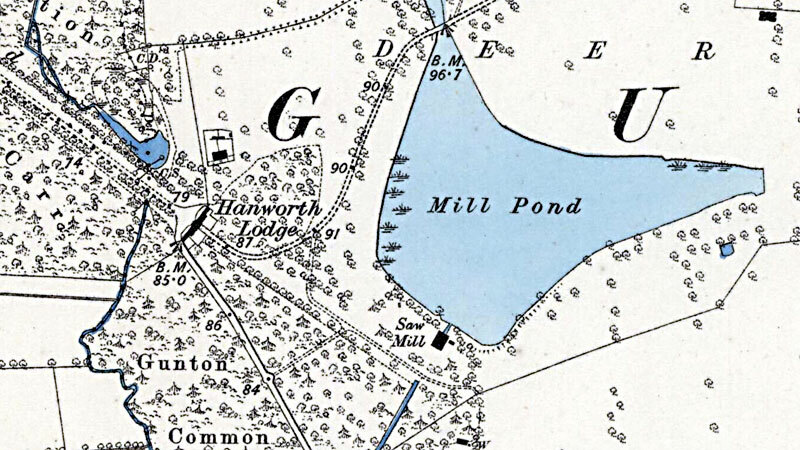 By the time the estate was sold in 1676, the mill had gone, although the millpond still remained and was shown on the map provided with the sale particulars. 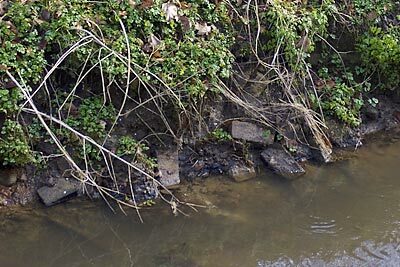 The millpond was also shown on the O.S. 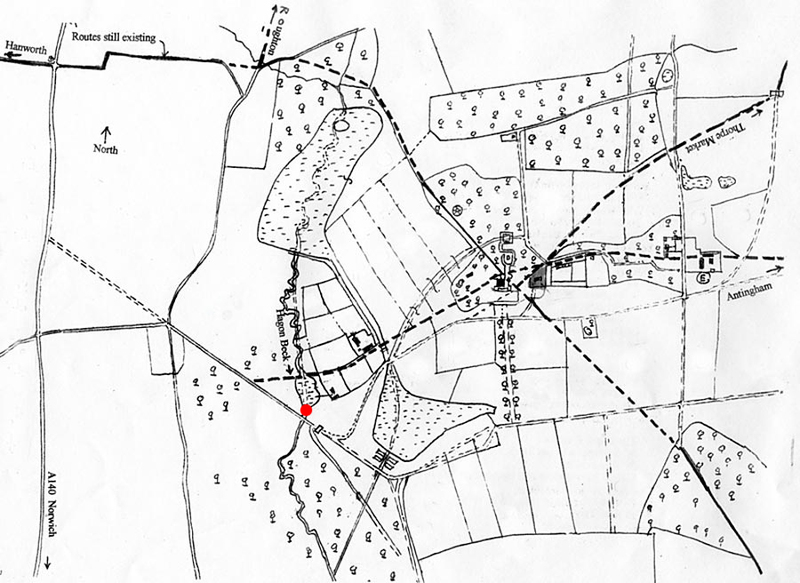 map of 1838, by which time Hagon Beck had been dammed to form the lake known as Great Water to the north of the mill. 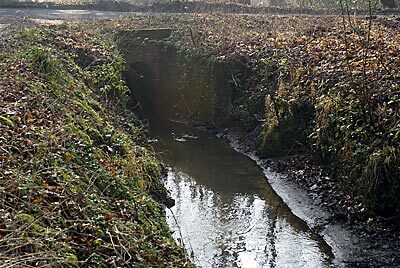 It is unknown as to whether the mill had already ceased working by the time the beck was dammed or whether this was the cause of its demise. 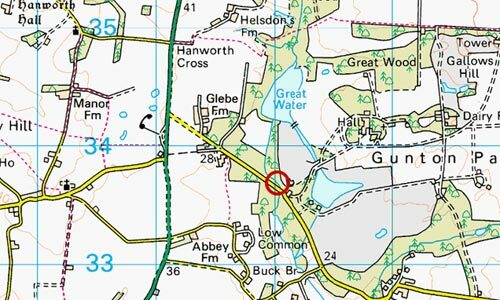 Great Water then fed Sawmill Lake with the sawmill's twin wheels set in line with the lake surface. 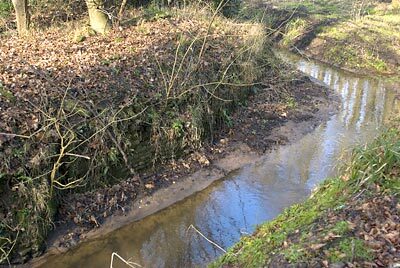 The outflow from the sawmill then became Hagon Beck once more, eventually rejoining the original watercourse.